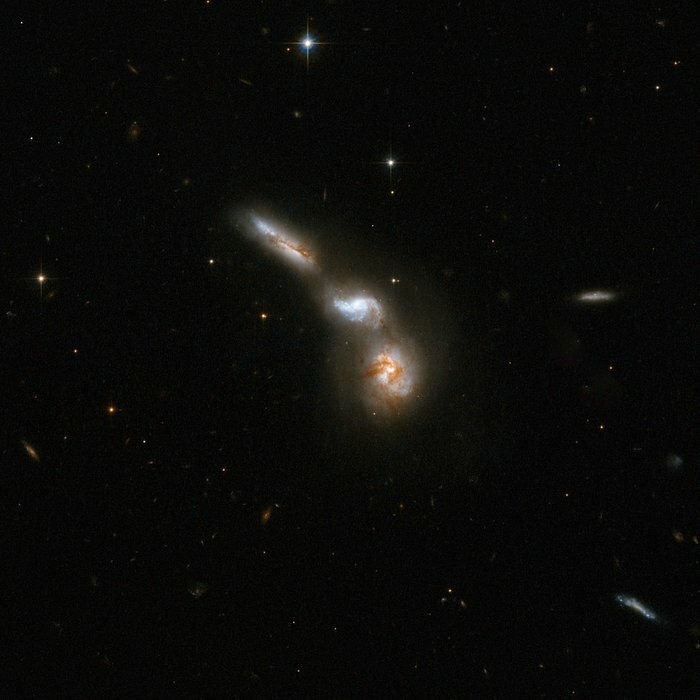 ESO 255-7 consists of a quartet of interacting galaxies. Three or four galaxies are embedded in a common structure with an arc-like shape. The upper part of this structure appears almost like one single galaxy but has in fact two component galaxies. The lowest galaxy is substantially obscured by dust. The interacting group is about 550 million light-years away from Earth, in the constellation of Puppis, the Stern. Position (Dec): -47° 10' 45.50"